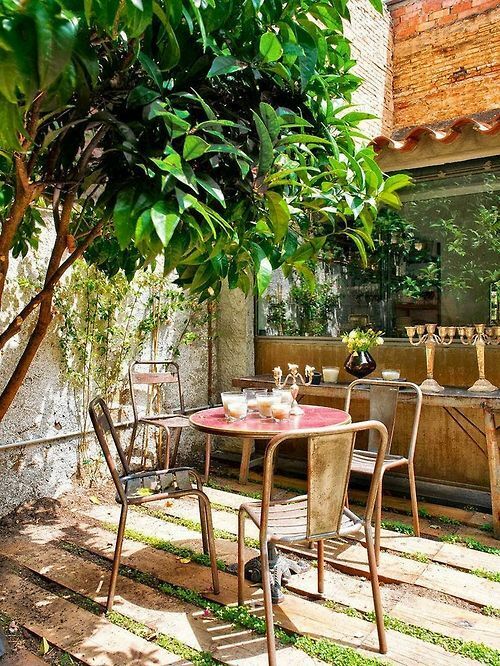 When it comes to creating a great outdoor space whether it be a balcony, patio, courtyard or garden you need to think of it as an extension of the inside, think of it as a whole new room. The trick is to decorate it like any other room and have fun with it, use colour and texture look for unusual pieces to put plants in like an old teapot or a chipped ceramic bowl, baskets, old copper saucepans anything goes. 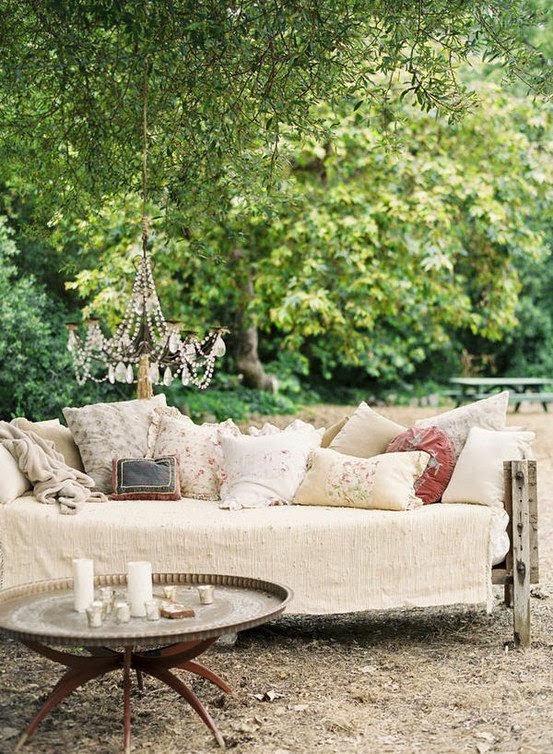 Plants such as grasses and bamboo make a lovely relaxing sound when blowing in the wind. Add a water feature, sculptures' and mirrors are great way of making a space appear much bigger, place them in amongst your plants, up against a fence or at the end of a pathway. 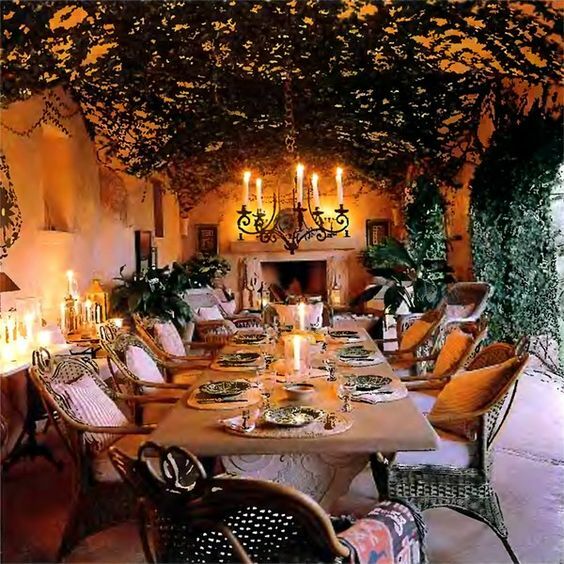 Use various coloured glass lanterns and dot around, find an old chandelier and replace the bulbs with candles and hang it off something. 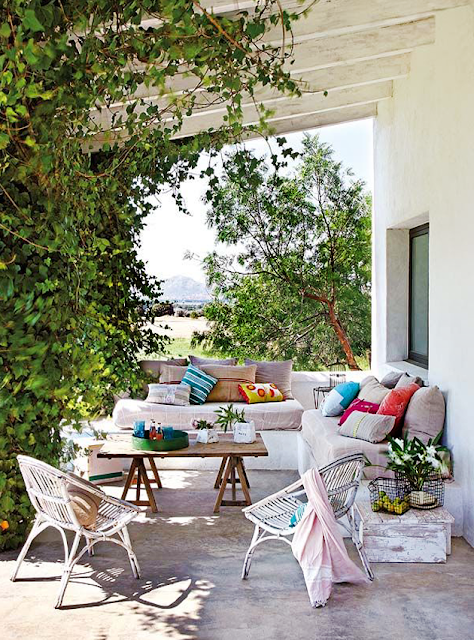 You will need also an area to entertain with plenty of comfortable seating, lots of cushions. 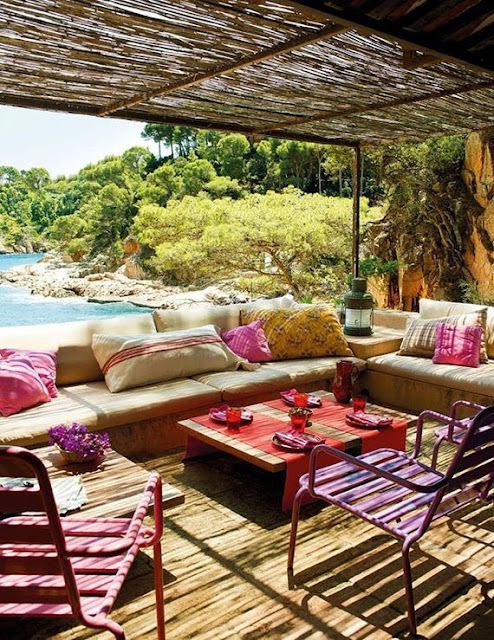 Think of both shaded and sunny areas, a place to read, meditate and relax, and if you are lucky enough to have a view then you have the perfect space. 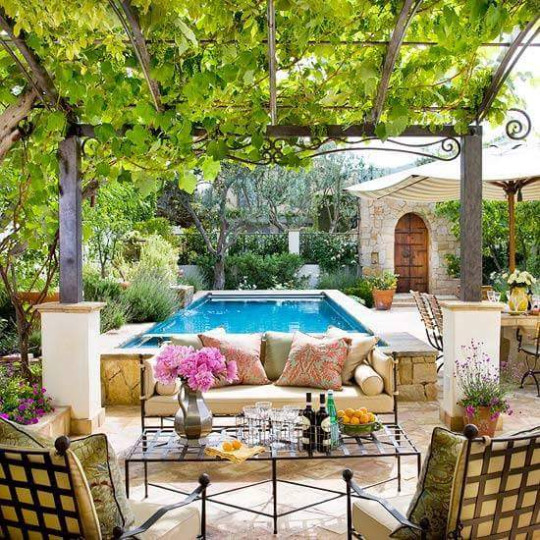 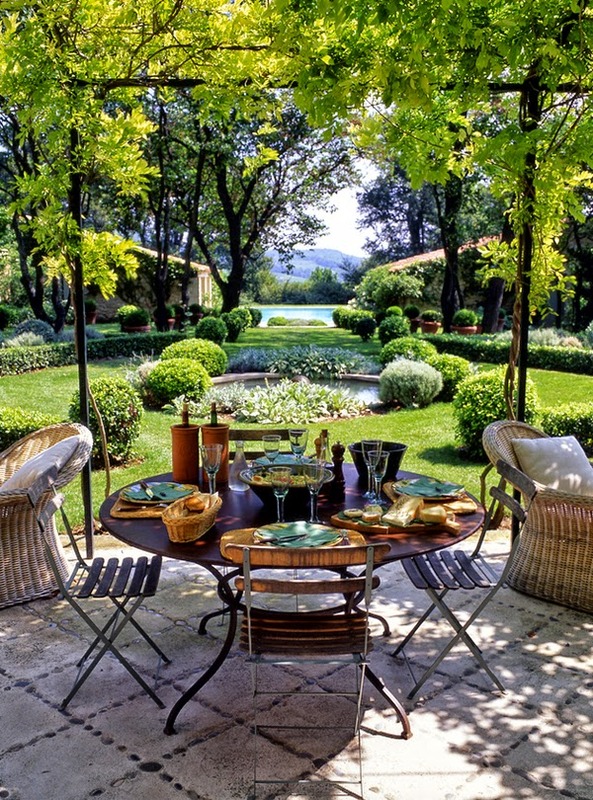 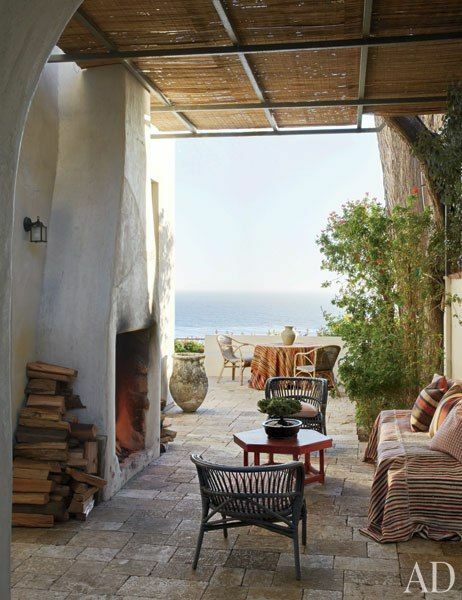 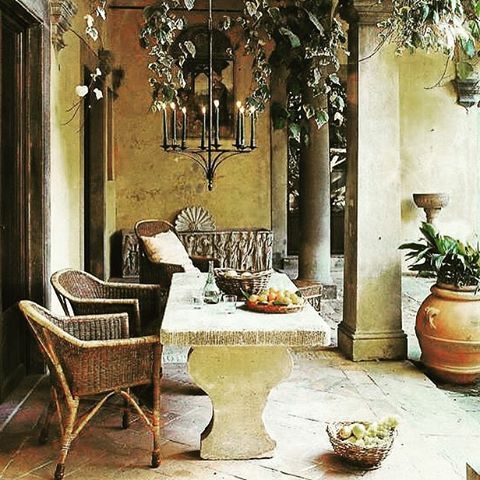 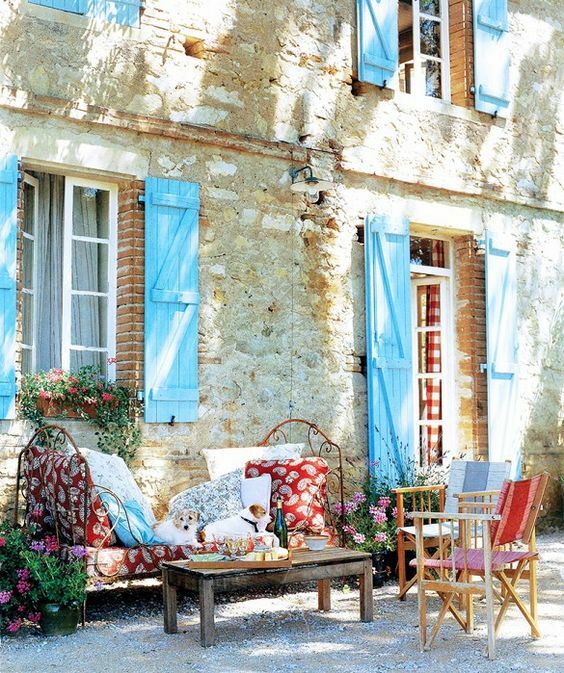 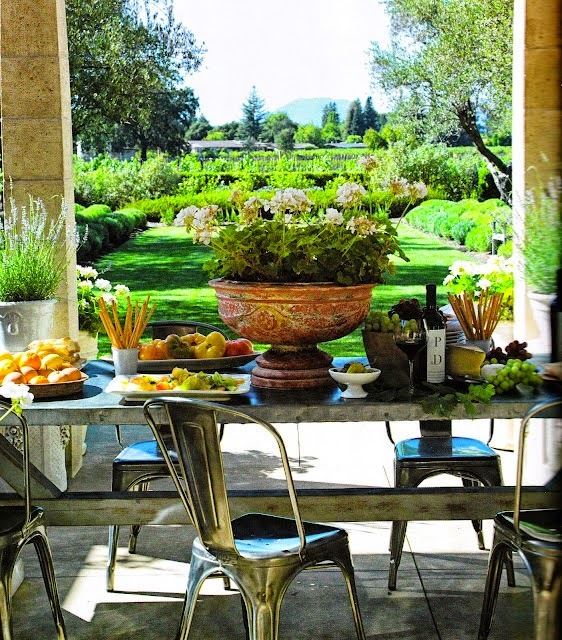 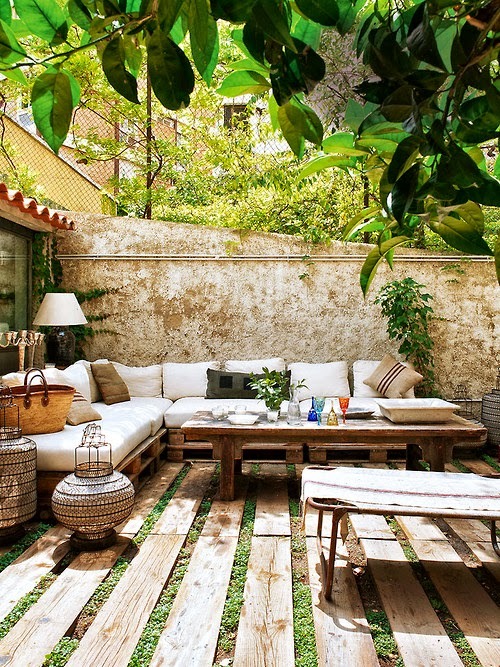 Here are some inspiring outdoor spaces. 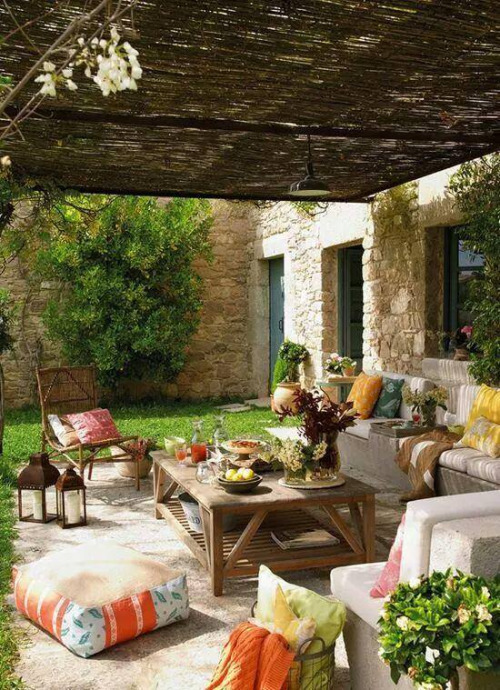 Getting spring ready and dreaming of spending time outdoors, sunny days and warm evenings, here is some outdoor spaces to inspire.